Cities, no matter the size, have their hallmarks, their must visit destinations. Chances are, if you find yourself in a big city, there will be no shortage of such places that will make your to-do list. Smaller, less sought after destinations, may have a much more limited selection of “musts,” but still something that locals can point to as the place to be. Come to Irvine here in Orange County and we’ll show you…the Irvine Spectrum? In fairness to our hometown, they do have a ferris wheel! 🙂 These are of course, the biggest draws for tourists, which means you will seldom find yourself alone. But crowds aside, one of the best aspects of visiting these hotspots is for the most part, braving the hoards of people is well worth it. 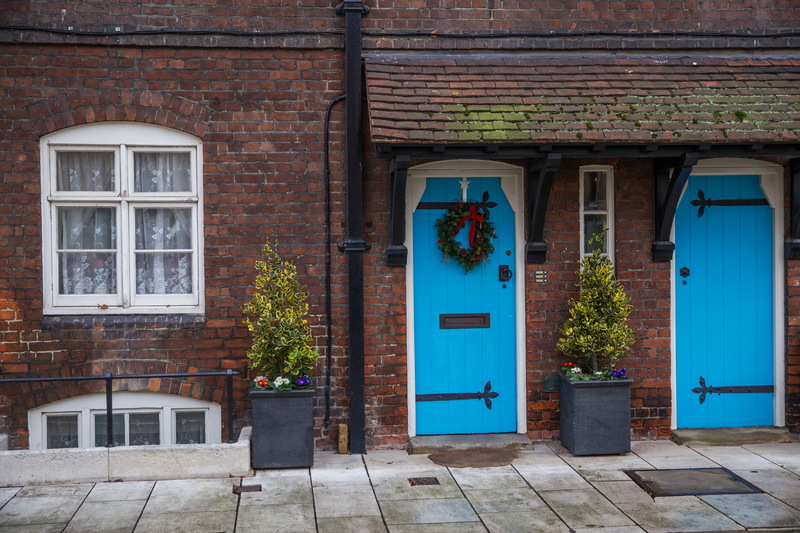 London, of course, is a big city with a long list of places you simply must visit. 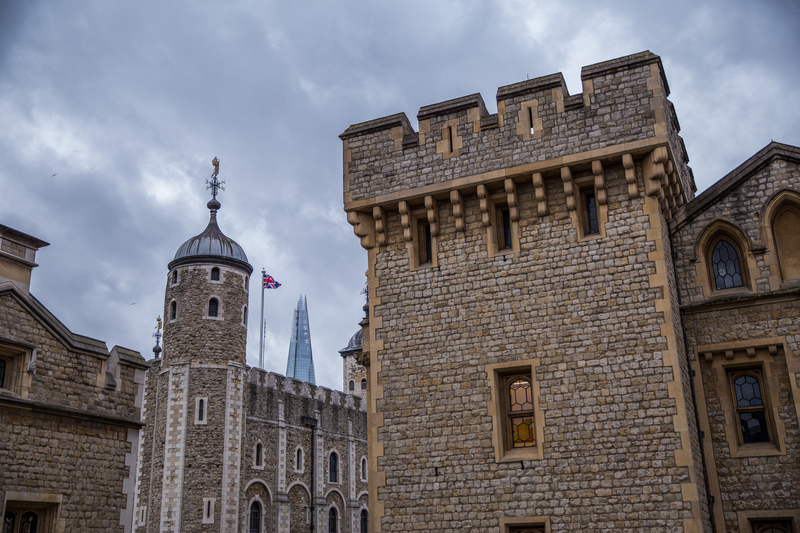 On our second trip to London, we were excited to visit the infamous Tower of London. 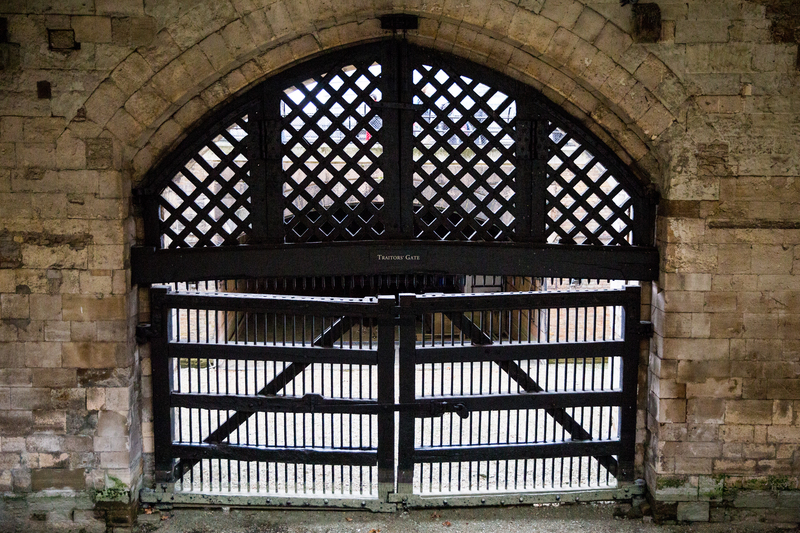 The Tower of London dates back to William the Conqueror who powered his way to victory and rule in 1066. Understanding the importance of London as a capital city, he eventually began work on what would become the Tower of London. Starting first with the White Tower, this massive undertaking was the likes of something that had not been seen in England up until this time. Successive kings continued to expand on the castle which served as both a royal home and prison. By 1350, the tower began to resemble the one in which we now view it. 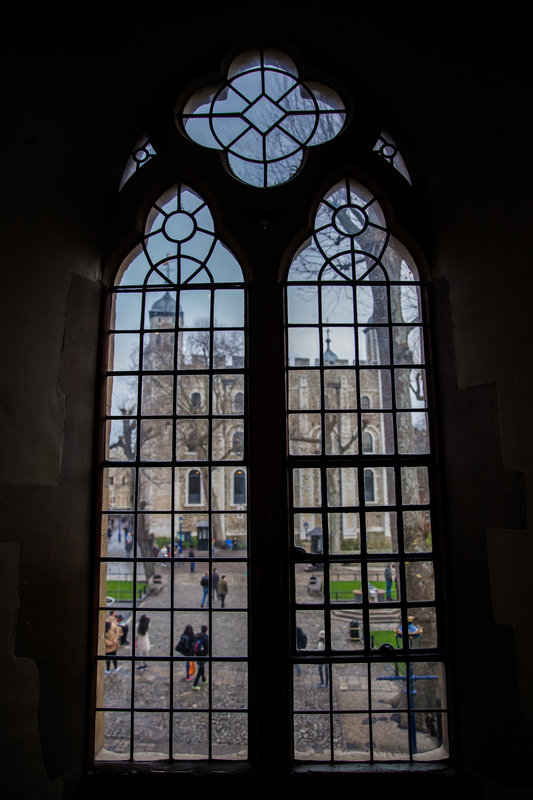 Further expansion continued over the years, including during the reign of Henry VIII who famously had his second wife, Anne Boleyn executed at the Tower. By the 18th century, the tower dealt less with expansion and more with maintenance, trying to keep the castle in working order. 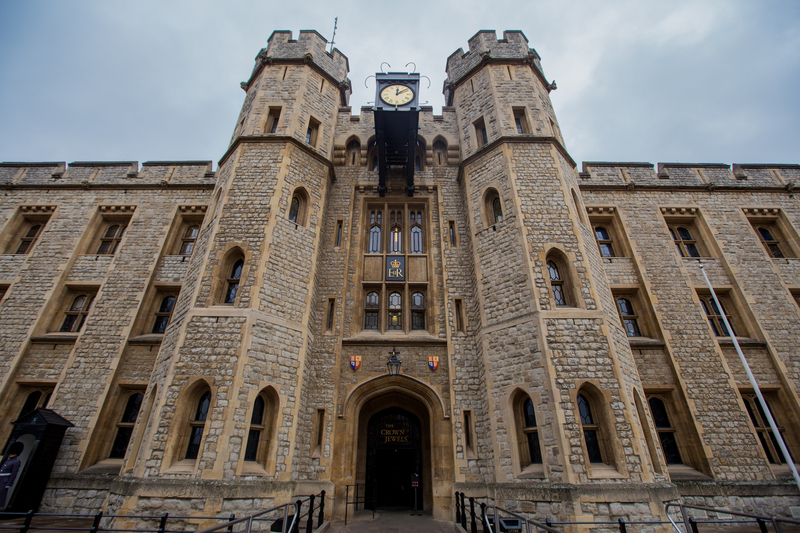 The last prisoners were held at the Tower in the 1940s, which also included the last execution during World War II. 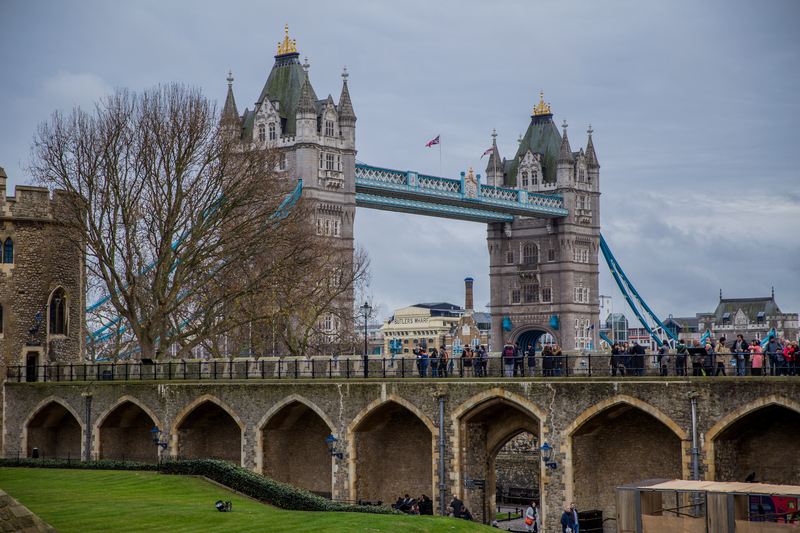 Visitors coming to see the Tower (dating back as far as the 1590s) helped popularize the castle as an important tourist destination and one that is known around the world today. Grab your ticket and head through the main entrance. Note: It’s cheaper to purchase your ticket online in advance than at the gate. Join up with a Yeoman Warder lead walking tour: These are the men and women in the navy and red uniforms and distinguishable hat. The Yeoman Warders are all retired armed forces members, have at least twenty-two years of service, and hold the Long Service and Good Conduct Medal. 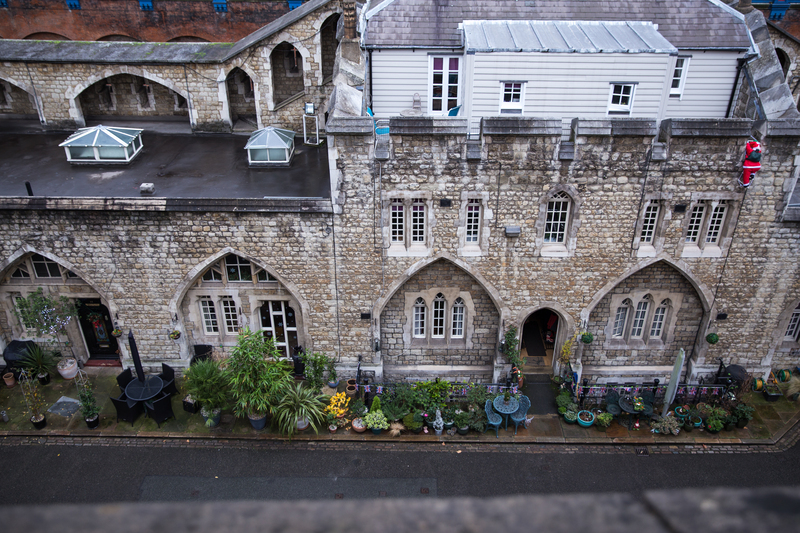 When you walk the walls of the tower, you will also notice the homes of the Yeoman who live on-site. On our visit, we got caught up in the walking tour on a few occasions and it’s definitely interesting to listen in. Tours are 60 minutes and free with your paid admission. Take a self-guided audio tour: This is the route we opted for and it costs an additional £4.00 (about $5) and can also be purchased in advance online. 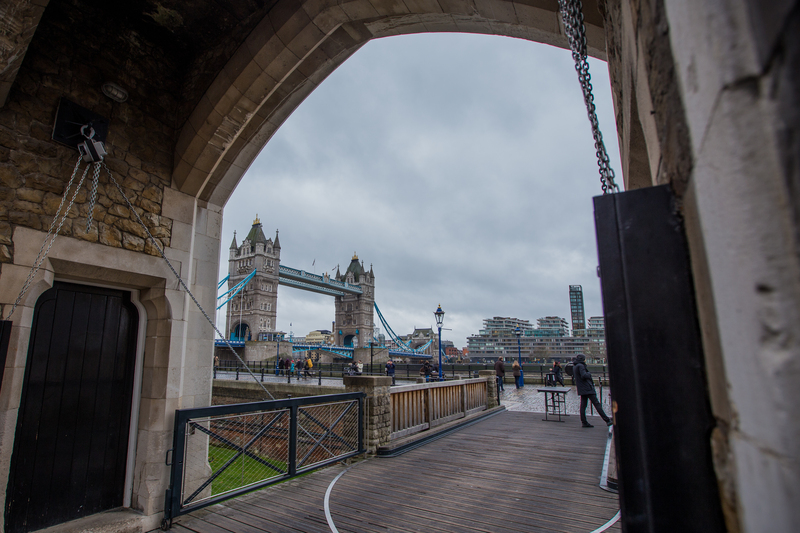 With the audio guide, you can tour the tower at your own pace, following along on five different tours. 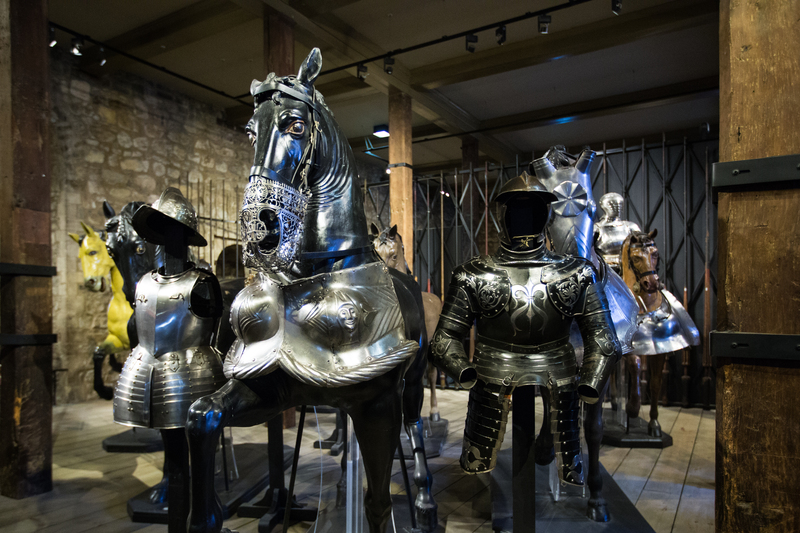 There is no shortage of things to see at The Tower of London. In fact, you could easily spend a day or two admiring each exhibition! Below, are the attractions that we enjoyed exploring in the few morning hours that we budgeted for our time at the Tower. This was the former water entrance to the tower. If you came in this way, chances are you were leaving without your head! 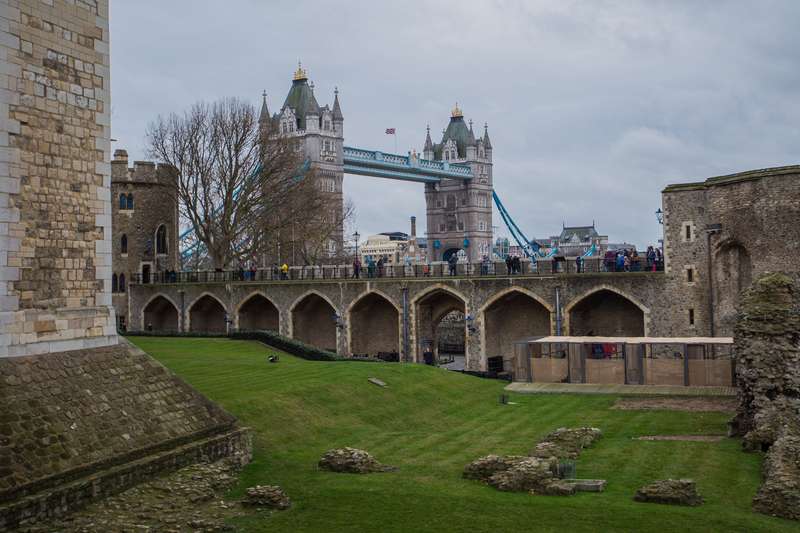 William the Conqueror had this first structure built during his time as King. It was meant to intimidate those persons both foreign and domestic and served as a royal residence. The White Tower was the strong point for the castle and housed the armory. 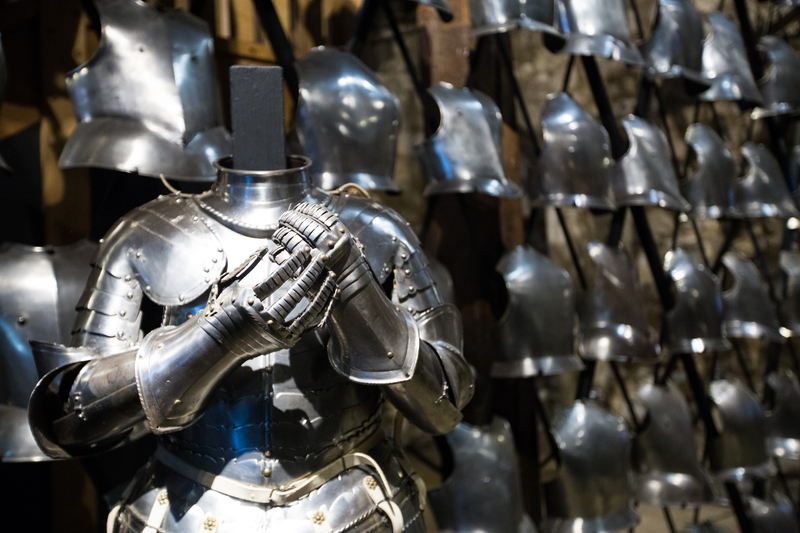 Today, you can tour the inside of White Tower, and see fantastic displays of some of the armor that once protected its inhabitants. 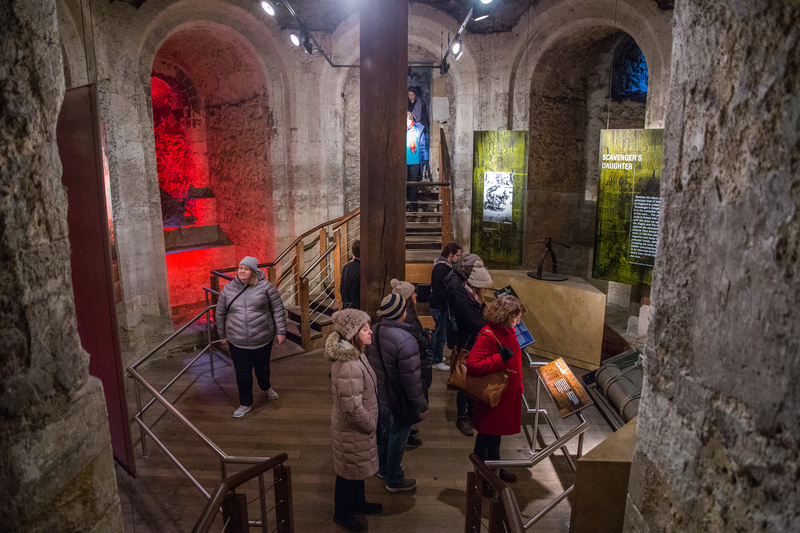 We were excited to see a fun little bit of history that was unearthed beneath one of the staircases in the White Tower. 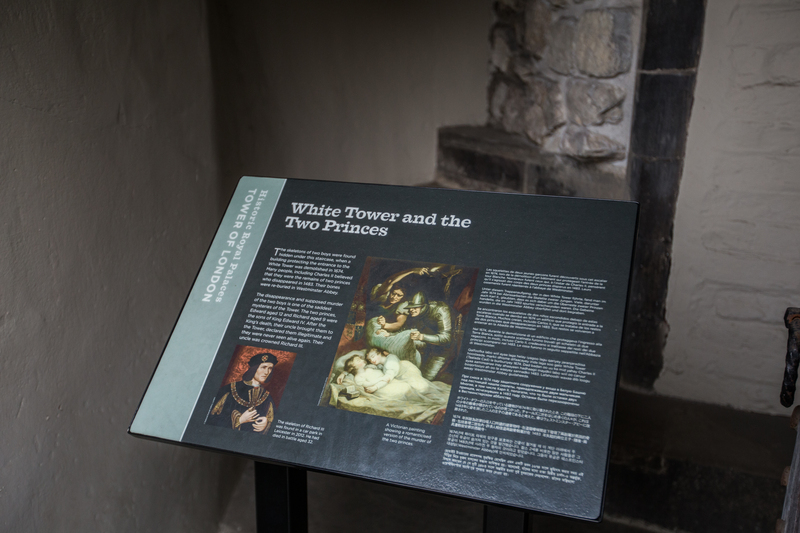 If you are a fan of The White Queen or Richard III, the Tower has a display dedicated to the lost princes. 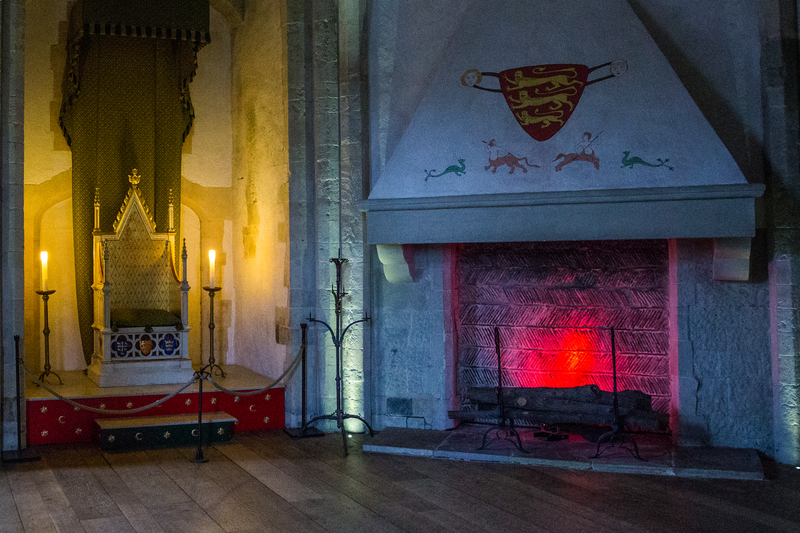 After their father King Edward V’s death, the two princes disappeared while living in the tower. A popular theory is that the king’s brother, Richard III, murdered them in order to take the throne for himself. 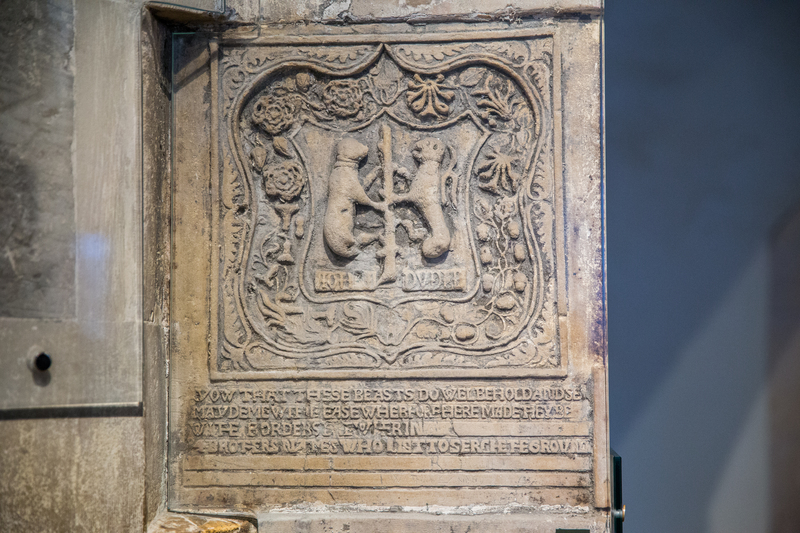 In 1674, a coffin with the remains of two children was found buried underneath the staircase leading up to the chapel. The remains were interred in Westminster Abbey, with the belief that they were the two lost princes, however, no modern scientific testing has been done to confirm that the theory is true. 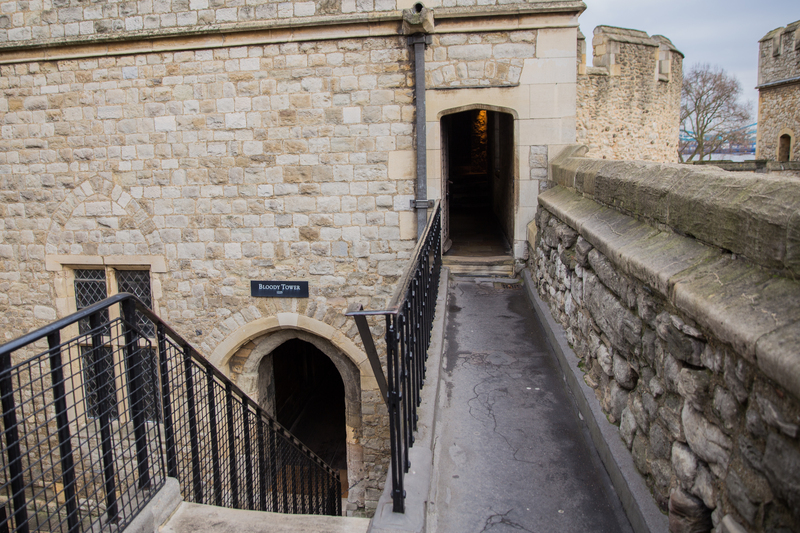 We were certainly excited to walk past the empty queue stanchions located outside the Crown Jewels exhibition, and head straight inside the Jewel House (a perk of visiting in the off-season!). Sadly, no photography was allowed inside the exhibition, but a google search will yield you images of the dazzling regalia of the past monarchs of the United Kingdom. 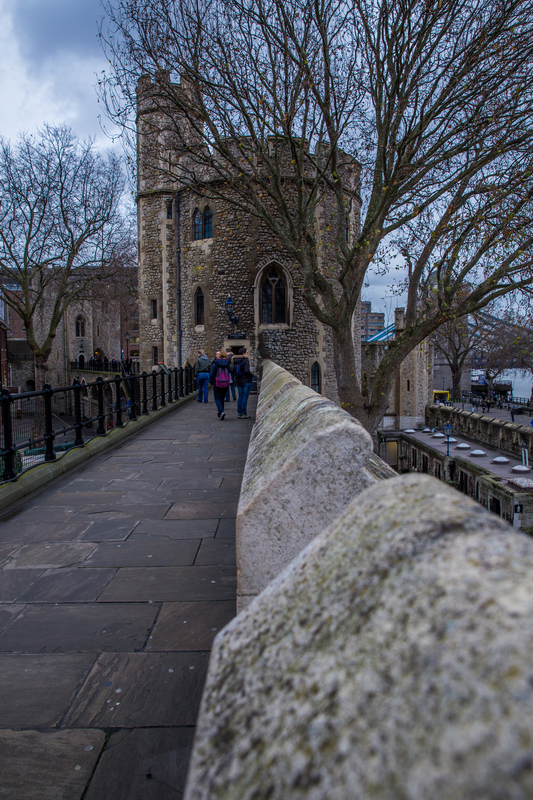 One of the things we loved most about visiting the Tower of London was having the opportunity to walk around the exterior walls. 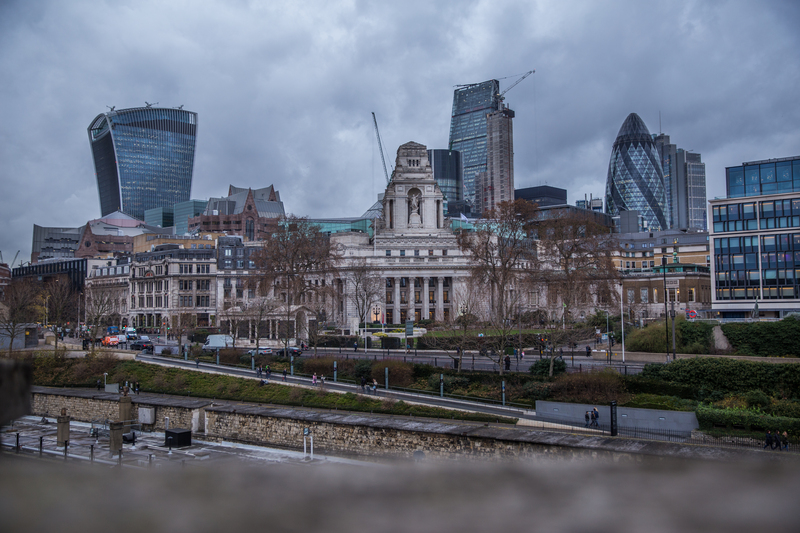 The scenery along the walk are beautiful, and give you the opportunity to see a bird’s eye view of the tower itself, Tower Bridge, and bits of the London skyline that rise above in the distance. 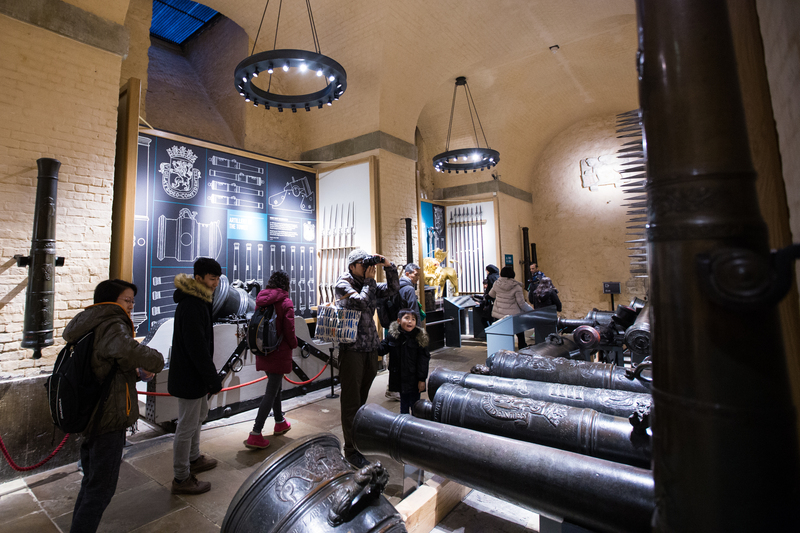 In addition, there are several towers along the way that house displays and exhibitions which tell of castle life and the history of the castle fortress. 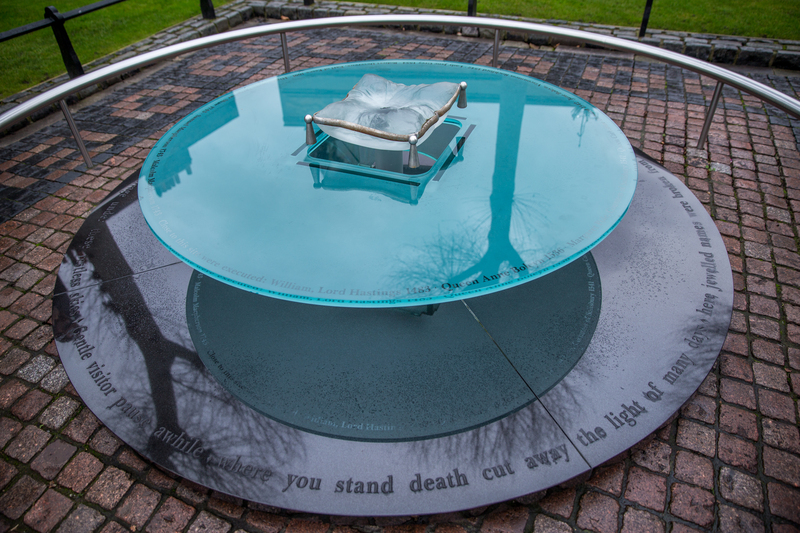 This area within the interior walls is home to a memorial that is dedicated to the people who were ordered by the state to be executed. 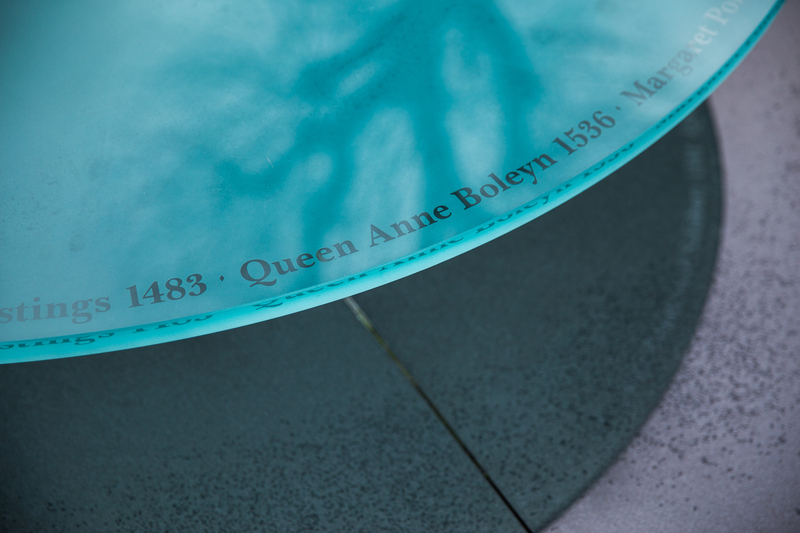 Being fans of the Tudor Dynasty, it was exciting to see names like Queen Anne Boleyn and Queen Catherine Howard remembered. This part of the castle was used to house really important prisoners. One of the interesting aspects of touring this site, was seeing all of the graffiti that former residents had carved on the interior walls. 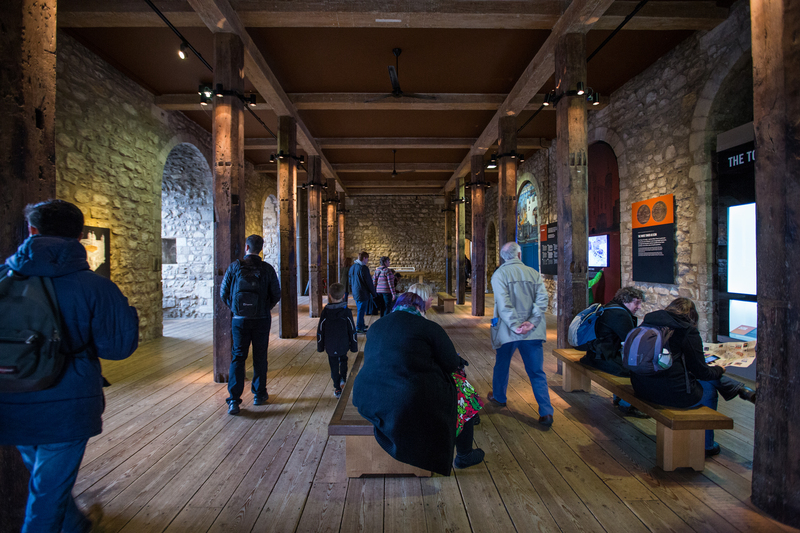 This deadly exhibition displays replicas of torture instruments that were once used at the Tower. It’s interesting and repulsive at the same time to gaze upon the instruments of such brutal pain like the Scavenger’s Daughter, which crushed it’s victims like a nutcracker, and the rack, which did the opposite, stretching them our by the arms and legs. Ouch! 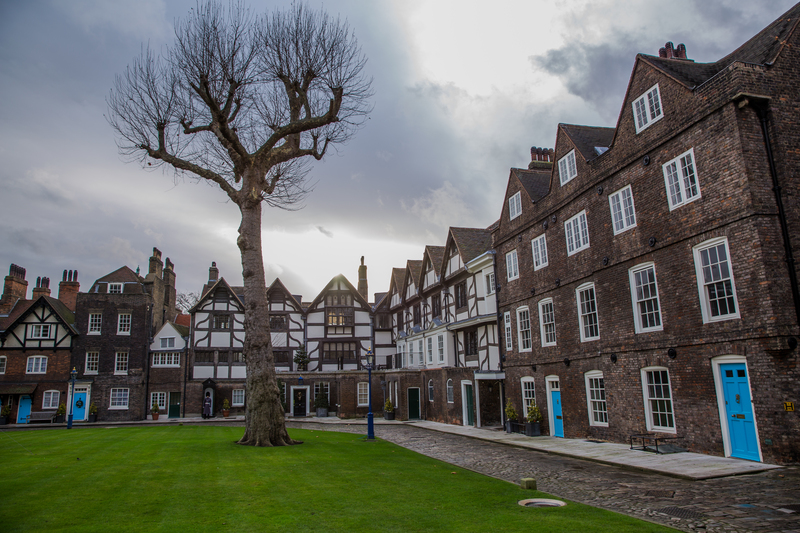 While the Tower of London is certainly a touristy destination, it is one that we feel is well worth the price of admission. 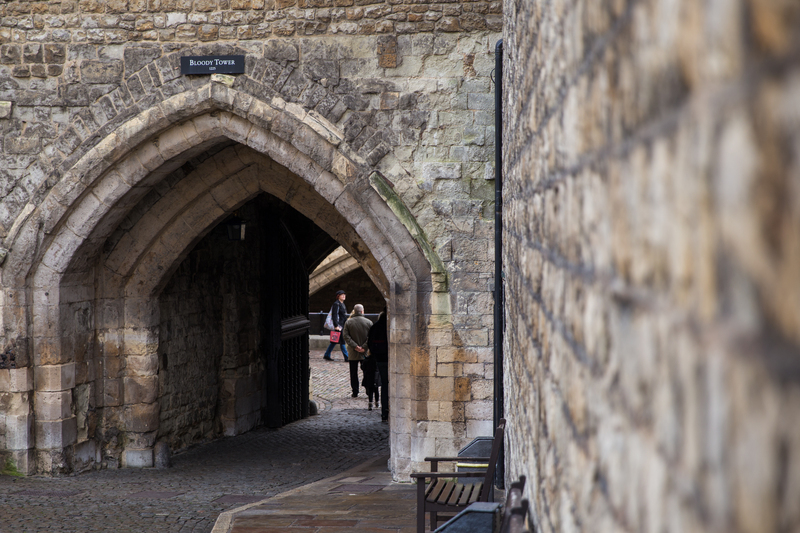 If you’re like us and fans of history, then you’ll find quite a bit of it within these walls. 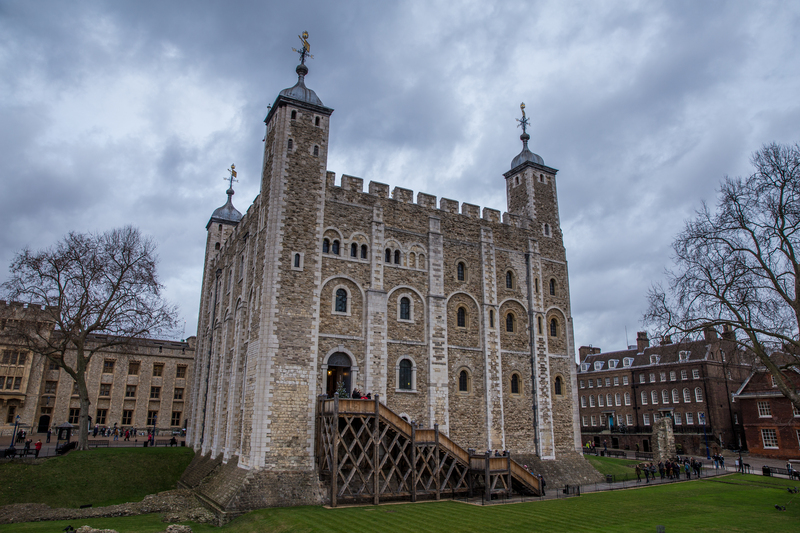 The Tower has played a significant role in the history of England and it’s always amazing to us when we have the opportunity to visit a place that has been in existence for centuries. We highly recommend a visit, but also caution that as with most tourist hotspots, it’s best to visit in the offseason when possible, to avoid massive crowds and wait times! 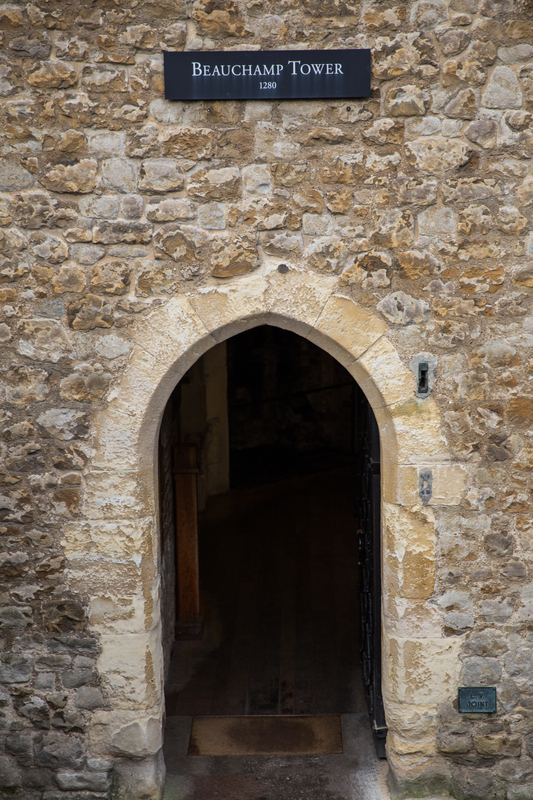 Have you been to the Tower of London or are you planning a visit soon? We would love to hear you thoughts in the comment section! And if you enjoyed this post, please subscribe for more great content! 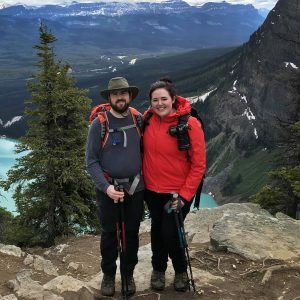 A well-written post accompanying by beautiful photos. Will add the Tower to our list of things to do when we get a chance to visit London. Thanks for sharing. Thank you! We hope you enjoy the Tower whenever you make it there!